Friendship Tails: Exciting things to come! There are many new things in the works at Friendship Tails these days and I am very excited to share them with you. My two special interests in veterinary medicine are shelter animals and canine cancer; recently I have been given the opportunity to become more involved with both. Even before Westin was diagnosed I have always been interested in oncology. Unfortunately it is a huge part of treating companion animals and I have seen countless times how devastating it can be for owners. When 2 Dogs, 2000 Miles came through DC I realized that there was so much more I could be doing on top of just diagnosing and treating animals with cancer. This led me to consider the idea of starting a non-profit, which was a little overwhelming. I was then thrilled to discover that the National Canine Cancer Foundation had just started a DC chapter. So look forward to upcoming events where we can raise awareness and funds to further canine cancer research. One of my favorite things about Friendship is how closely we work with the Washington Humane Society and the Washington Animal Rescue League. Helping shelter animals has long been a passion of mine, hence the reason I have six animals living with me. Recently I was honored to be invited to participate in WHS’s Fashion for Paws program. 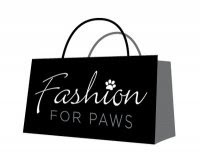 Fashion for Paws is a series of events that raises money throughout the year culminating in April with a fashion show featuring people and their dogs. It is a genius way to create awareness for all that WHS does for the community as well as save the lives of many shelter animals. I had a great time last year attending as a guest and I am very excited to be participating this year. In addition to what I am directly involved with, Friendship also donates proceeds from some of our online stores to the Humane Education Fund and supports the Marshall Legacy Institute. Not to mention we are open twenty four hours a day, every day for you and your pet. Sometimes I can’t believe how lucky I am that I get to work at such an amazing place.